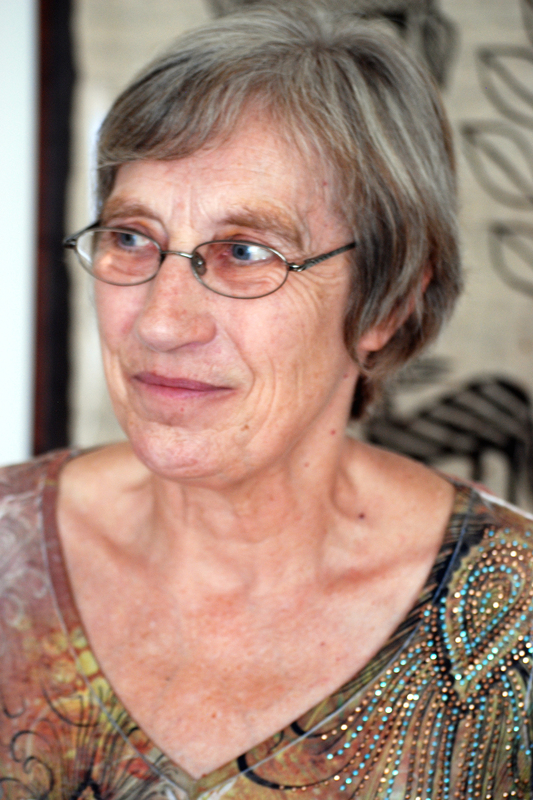 Julia Annas is Regents Professor in Philosophy at the University of Arizona, and previously taught at St Hugh’s College, Oxford. She is a member of the American Academy of Arts and Sciences and the American Philosophical Society, the founder editor of *Oxford Studies in Ancient Philosophy*, former President of the Pacific Division of the American Philosophical Association and foreign member of the Norwegian and Finnish Academies. I’m very grateful to Meena for asking me to contribute to Philosop-her. First off, I’m delighted and excited to see so many younger women in philosophy, and in such a range of areas. There are more women in philosophy than when I was young, and more diversity, and philosophy itself has got a lot more interesting, and the two are connected. Of course we have far to go, but the state of philosophy is a lot healthier than it was in the sixties and seventies, when I was starting out. The only caveat that I find myself registering is the pace of development that’s expected of young philosophers – not just numbers of publications, but constant, sometimes relentless progress in the area you start out. For a variety of reasons – some good, some not – less was expected of me in my early philosophical years, and I was able to make many starts and develop in different areas. My work has only had a single focus in the second part of my career. I am amazed at the energy of younger women philosophers, and I wish that you didn’t have to use so much of it to succeed. I spent many years developing interests in many areas of ancient philosophy. There is, after all, over a thousand years of it, in which different enquiries were developed in a multitude of different ways. Early thinkers do philosophy in Homeric hexameters, Plato writes dialogues, we have Aristotle’s lecture notes, we have texts and fragments from the Stoics and Epicurus, and so on. There are many different styles of doing philosophy. By the end of antiquity philosophers who write commentaries on other philosophers in a way quite like modern academic philosophical commentators. Doing ancient philosophy is a great way of mentally loosening the constraints of the contemporary academic article and book; philosophy can be done well in plain prose examining numbered propositions, but it can be done in many other ways too. In doing ancient philosophy we have to distinguish between an analytical approach in the broad sense, which discusses the reasoned basis for philosophical claims, and a narrower sense in which context is discarded and arguments are reduced to abstract schemata. The first, broader approach is the one more likely to be fruitful, and history of philosophy is a great way to develop it. In my experience ancient philosophy has been the place I have found attitudes that are more co-operative, and less gladiatorial, than turn up in some other areas of philosophy. I don’t know how closely this is connected to the point that, at least in my intellectual lifetime, there have been more women in it than in many other areas of philosophy. I feel fortunate in not having suffered experiences as bad as those that many other women philosophers have had to put up with. We are still far from being equally represented in ancient philosophy, but I think the area does modestly better than some areas in philosophy, especially the more technical ones. For some years my interests in ancient philosophy have concentrated on ancient ethical theories, and their (almost) universal eudaimonist structure. The central concepts are those of happiness and virtue. Neither is well understood within the tradition of moral philosophy that we philosophers have inherited from the 19th and earlier 20th centuries. Because of this, the ancient theories were during that period grotesquely misunderstood by philosophers like Prichard, and it is in the last half-century that interpretations that answer to the texts have been developed in the field of ancient philosophy. At the same time (some wider Zeitgeist was at work, no doubt) contemporary moral philosophers began to rediscover eudaimonism and virtue ethics in the contemporary world. I started to find myself invited to conferences on virtue and happiness as the resident scholar to tell people what Aristotle thought, and I and others started to see how valuable cross-fertilization between ancient and contemporary ethics could be. The rediscovery (after a strange gap of nearly two centuries) of eudaimonism and virtue ethics as illuminating accounts of how we actually think ethically has been the philosophically most exciting development in my lifetime. A great deal of my intellectual life has been spent interpreting the ancients, probing to find what they thought. There has been a great widening of interest and collapsing of barriers in this field, which is far more lively and rewarding than it was when I began. I also find that in the latter years of my career I am in the middle of a new, fermenting movement which is developing on fronts unimaginable when I was beginning in my career. What more could a philosophers want? I often reflect on how fortunate I am. I’ve lived through a period when virtue ethics has gone from being a joke (among conservative ethical philosophers) to having gained respect (sometimes grudging) in the mainstream of ethics. It does not color within the lines set by conservative ethical traditions which start from duty, obligation and the ‘right-makers’ of right actions, and so is still sometimes dismissed as rudely disruptive of business as usual; this attitude can still be found among meta-ethicists who work within a tradition formed in a period when virtue had sunk to a sub-theoretical level. But this is an advantage for eudaimonism and virtue ethics; we constantly have to refine and defend our basic positions against objections and misunderstandings, and so our debates stay lively; we are not in danger of falling into academic disagreement on minor matters within an agreed framework. There have been so many ways that virtue ethics and eudaimonism have developed at dizzying speed in the last thirty years that it has taken me some time to work out what I find the most attractive and defensible version. I spent some years working up a book on virtue ethics, only to find myself stalled, until I ditched it and started again on a book on virtue, which emerged in 2011 as Intelligent Virtue. I had slowly realized that anyone needs to work out and defend a particular conception of virtue before being able to develop a virtue ethics. The conception I developed is on the lines of Aristotle’s conception of virtue as a disposition to be active in acting, reasoning and feeling in accordance with the virtues. Every aspect of that claim needs to be spelled out and developed, of course. This is independent of Aristotle’s own theory about the ‘mean’, and of other aspects of his ethics, such as his version of naturalism. I developed this conception of virtue in several ways and sketched out the relations in which it can stand to happiness or flourishing (which, is an issue in itself). Since then I have been slowly working on various issues in virtue ethics, hoping eventually to be in a position to develop a book. I have been working on the role of virtue in virtue ethics in relation to topics such as learning virtue in terms of ‘thick concepts’; action required by virtue and its relation to duty; the nature of vice and its relation to virtue; how virtue ethics accounts for heroism; and more. There are so many exciting and under-explored areas that I feel really lucky. At the same time I am finishing up a book on virtue and law in Plato’s late work the Laws. Having two such different projects keeps me going, as each is attractive when the other palls, but it’s also true that working on each means that I often feel that neither will get finished. I’d like to end by pointing out how the modern revival of interest in virtue and virtue ethics has been largely driven by the original contributions of women. Anyone talking about virtue has to mention Elizabeth Anscombe’s pathbreaking article in the 50s pointing out the deficiencies of then modern ethics. Nor can anyone pass over the work of Philippa Foot, or Rosalind Hursthouse. Different, non-Aristotelian versions of virtue and virtue ethics have been developed by Christine Swanton, Linda Zagzebski and Julia Driver. And, although they are not virtue ethicists, I should mention the work that virtue ethicists engage with in Humean studies with Rachel Cohon and Kate Abramson, and in Kantian studies with Christine Korsgaard and Barbara Herman. I am deeply grateful to all of these for their original work which has enabled progress to be made by people like me. Despite all the real bad news about women in philosophy, I am modestly optimistic for the future of women philosophers in the fields I work in, which is another thing to be grateful for.